There are a lot of perks to being a rideshare driver: you earn extra money, meet new and (sometimes) interesting people, explore new parts of town, and collect dozens of “wait ‘til you hear this one…” stories about “unique” passengers to share with friends and family. One of the best perks of being a rideshare driver is the flexibility that comes with it. You can drive when you want, for your own reasons, and pursue specific financial goals. You choose the day, time, and location to drive based on your preferences. And if your preferences change, you have the flexibility to change when and where you drive. 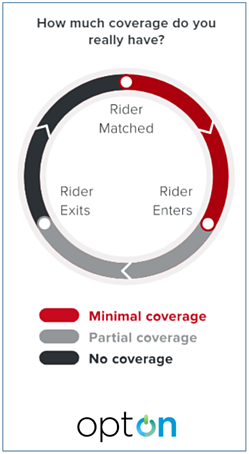 Why wouldn’t your rideshare insurance offer you similar flexibility? Okay, so insurance may not always be top-of-mind for you, but it is for us. In fact, rideshare insurance is our area of expertise at optOn, and we’re committed to making it easy and flexible. 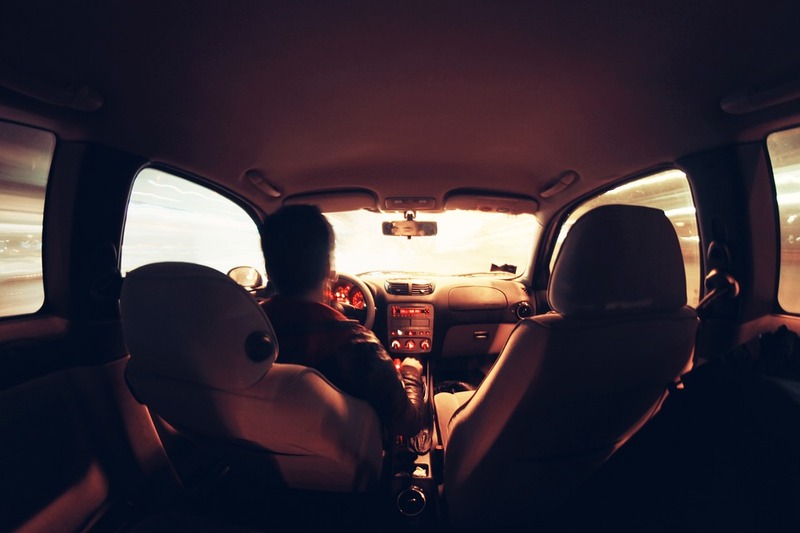 Without getting overly complicated, our research and experience suggest that your personal insurance probably doesn’t cover rideshare driving, and your rideshare provider probably doesn’t provide enough protection for you and your car while rideshare driving. Which means you and your vehicle are at risk. Enter optOn. We want you to feel protected and we want you to have flexibility to pay for protection only when you want it. With optOn, you get protection tailor-made for rideshare drivers with the tap of a button on your mobile phone. Get covered when you start rideshare driving, then end coverage when you finish – all for just cents per mile. No lengthy application, no long-term contract, no monthly fees, and no subscriptions. We’re making better coverage for you that’s flexible and on demand. Right now, we’re gearing up for launch. Want to be the first to know when optOn is available? Just visit our home page and fill out the form. We’ll let you know when we launch in your state. And if you want to stay up-to-date on everything optOn, subscribe to our newsletter with a click of the button below. At optOn, your safety and protection while rideshare driving and while using the app are our priorities. Always remember to access the optOn app on your mobile device only when it is safe and legal to do so. Coverage with optOn is subject to qualifications and terms, conditions, and exclusions apply. © 2019 UBI Holdings Inc. All rights reserved. optOn is a registered trademark of UBI Holdings Inc.